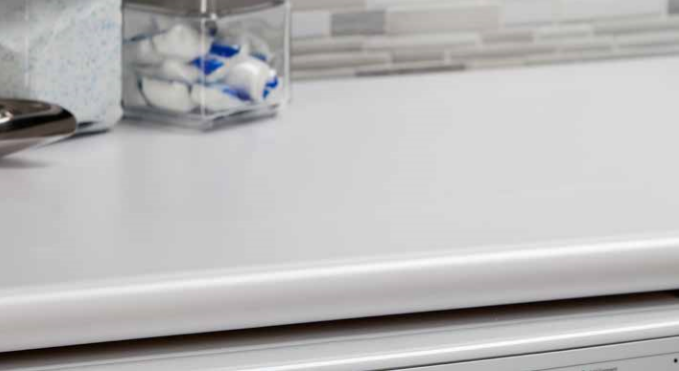 Nova Edge countertops are special order countertops that take approximately 2 weeks with any Wilsonart or Formica laminate color and can be ordered for kitchens, vanities, single rolls, and bars. Standard depth of 25 1/4″ with a backsplash. Standard depth of 22 1/4″ with a backsplash. Standard depths of 22 1/4″, 25 1/4″, and 45″. Standard depths of 12″, 15″, 18″, 27″, 32″, 36″, and 42″.